When you hear the words “rental car,” what comes to mind? Perhaps a gutless econobox with a hard plastic interior that you rented at the airport in some other city? Well folks, this is no ordinary rental car. It’s a 2016 Shelby GT-H, and it’s a fresh take on an old idea: a race car that you can rent for a day. We are living in the age of the reboot. Everything that was popular once is now being dusted off, freshened up, and re-imagined for a new generation. Fourteen years after the last Jurassic Park movie was in theaters, a new film – “Jurassic World,” was released in 2015. After 21 years off the air, the 90’s sitcom Full House was brought back as “Fuller House” in 2016. Fourteen years after the series finale, “The X-Files” came back to produce a six-episode revival in 2016. Finally, 2017 saw the release of the Power Rangers film, a $100 million dollar movie based on a kids TV show that ran from 1993-1996. Movies and TV shows are not the only ones falling victim to the siren song of the reboot. The automotive world is also reviving the past, as is the case with the Shelby GT-H. 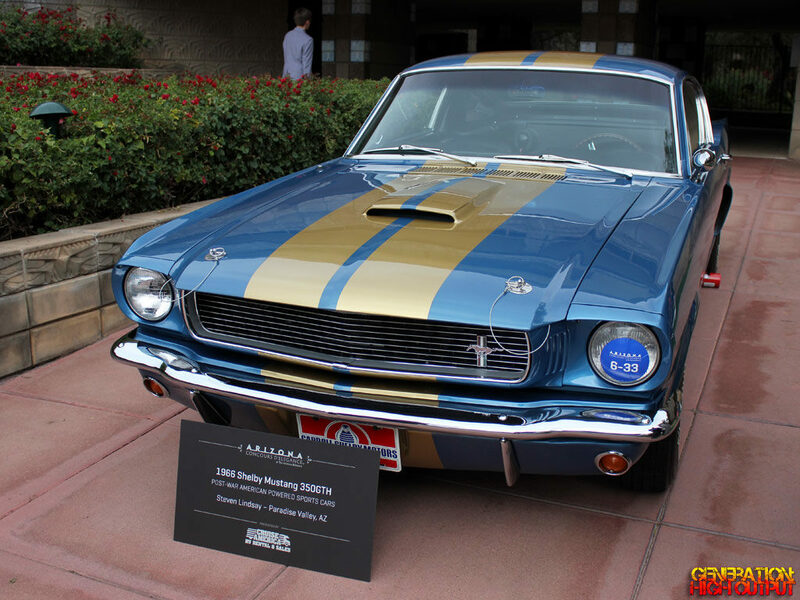 The original Shelby GT-H made its debut in 1966, not long after the Ford Mustang was introduced. 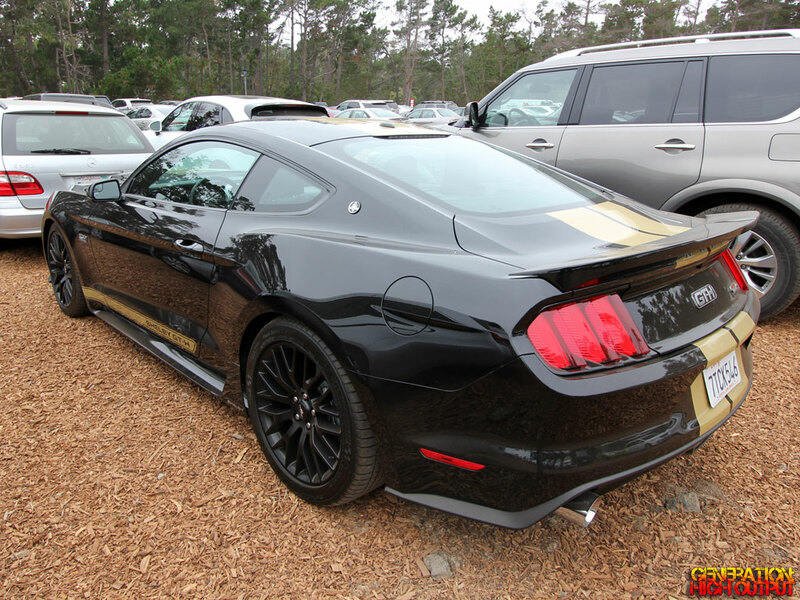 The GT-H was a high-performance vehicle built for Hertz Rental Car by Shelby. It featured all of Shelby’s upgrades to the engine, suspension, and appearance of the car, plus those signature gold stripes. 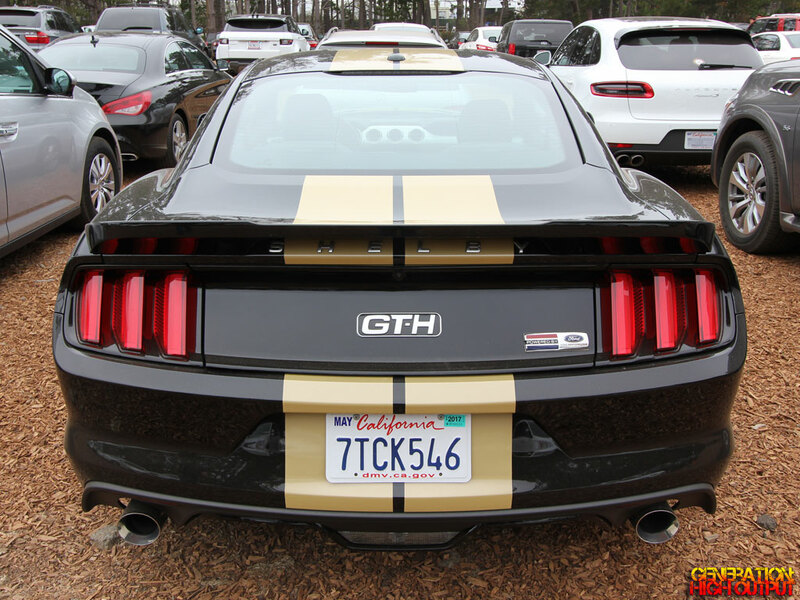 The GT-H has become the stuff of legend among Mustang fans and historians. Stories abound about these rental cars being used by customers for engine swaps, SCCA competition races, and all kinds of other crazy shenanigans. It has gone down in automotive history under the “Wow, I can’t believe they did that” file. In 2006, the GT-H was reintroduced on the 40th Anniversary of the original GT-H. Like the original, this car featured upgraded suspension and handling, more power, a louder exhaust, and the signature gold stripes on black paint. A total of 500 vehicles were produced. Which brings us to the third and most recent generation of Shelby GT-H, unveiled in 2016 for the 50th Anniversary of the car. It was one of the most interesting cars I saw at Pebble Beach, and it wasn’t even inside the show – it was outside in the parking lot. The 2016 edition of the GT-H is the best one yet. It starts with a 435HP 5.0L V8 from the Mustang GT, and includes a cat-back exhaust system for a throatier sound. Ford Racing’s Handling Pack is also standard on the GT-H and includes lower springs, retuned dampers, and new sway bars for a more race-car like feel. A set of 19″ wheels rounds out the suspension upgrades. On the exterior, a vented hood, a carbon fiber front splitter, and a rear spoiler give the car a more aggressive look, while the multiple GT-H logos remind you of what car you are driving. I think the 2016 GT-H is a pretty cool car – far better than the typical plastic econoboxes you’ll find in most rental car lots. It is also the most rare of all 3 generations. With the original ’66 GT-H, about 800 – 1,000 cars were built. With the second edition in 2006, 500 cars were built. The third and current edition has just 140 cars nationwide, which makes this sighting all the more rare! Note: This is not a sponsored post, I did not speak with Shelby or Hertz or anybody and the thoughts and opinions expressed in this article are entirely my own. I did not get compensated in any way and did not get to drive the car. I only observed it in a parking lot. 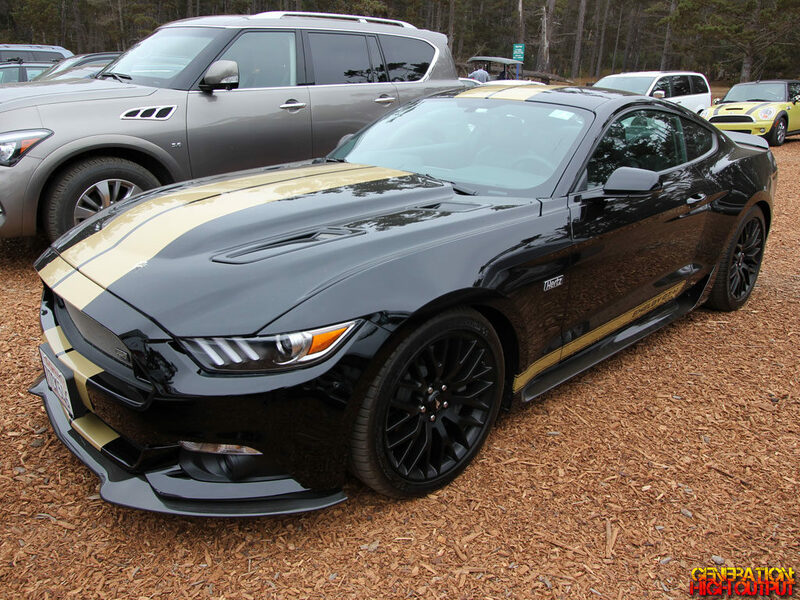 This entry was posted in Curiosities and tagged gt-h, hertz, Mustang, rental car, Shelby, Shelby Mustang by Trevor Freeman. Bookmark the permalink.